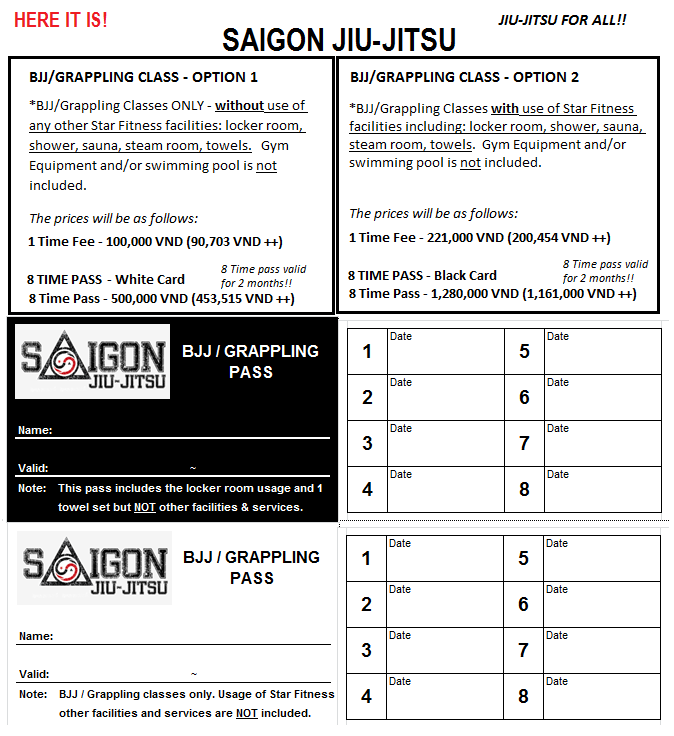 Latest news are available at Saigon Jiu-Jitsu Facebook page. Beginners are very welcome in every class. Also see "Star Fittness Calender". SJJ class is held as part of Star Fitnes class. Star Fitness gym menber join free. For further information about Star Fitness, please contact Star Fitness directly. Prices include service charge & VAT. BJJ/Grappling Classes ONLY - without use of any other Star Fitness facilities: locker room, shower, sauna, steam room, towels. Gym Equipment and/or swimming pool is not included. BJJ/Grappling Classes with use of any other Star Fitness facilities: locker room, shower, sauna, steam room, towels. SJJ trains in Star Fitness located on the 1st floor of the Manor 1 apartment building. 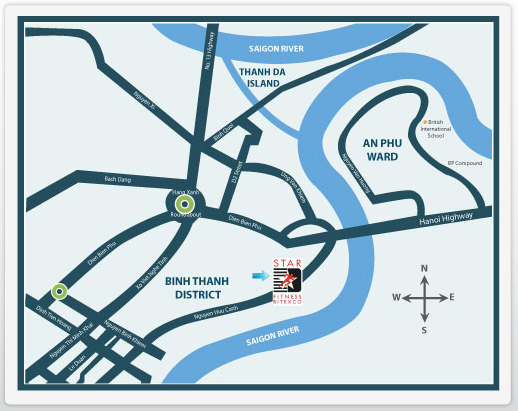 It takes about 15 minutes by taxi from the center of town such as Ben Thanh Market, Dong Khoi Street. Copyright © 2016 Saigon Jiu-Jitsu All Right Reserved.